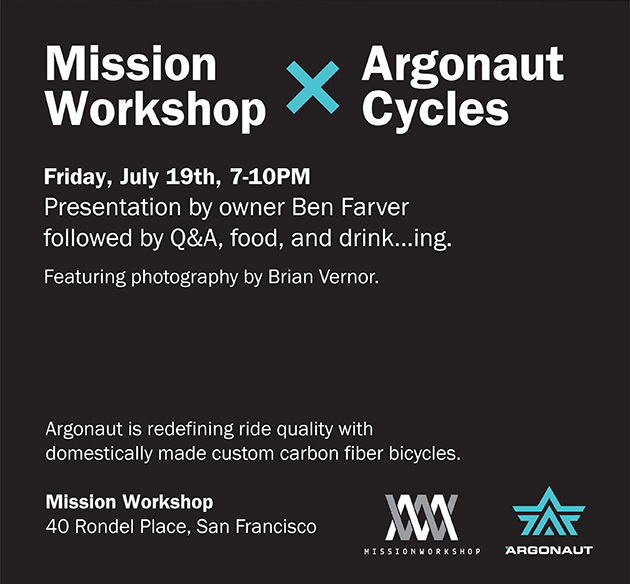 Join Mission Workshop and Argonaut Cycles this Friday for a presentation from Argonaut Cycles and a Q&A with founder, Ben Farver. 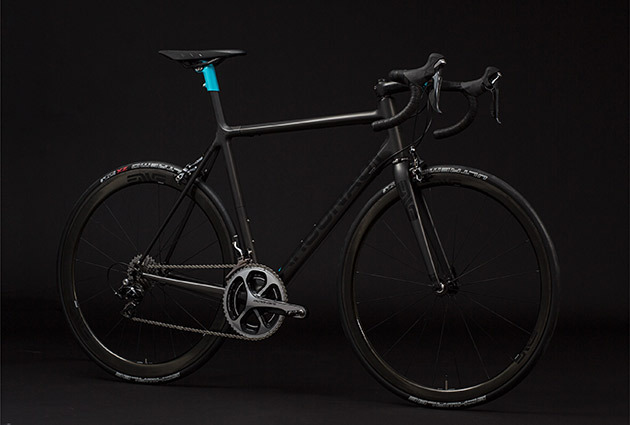 Come learn how Argonaut is redefining ride quality and see a ‘Space Bike’ in person. Following a similar format to Bike Magazine‘s ‘Ask A Founder’ series it should be a great way to get an inside look at the world of custom carbon fiber, not to mention a rather unique brand story. Come for the presentation, stay for the drinks and snacks. Photography by Brian Vernor will be on hand for your viewing pleasure. Already have your Friday booked? Fret not, the bike and photography will be on display till the 26th for those of you unable to attend the event.